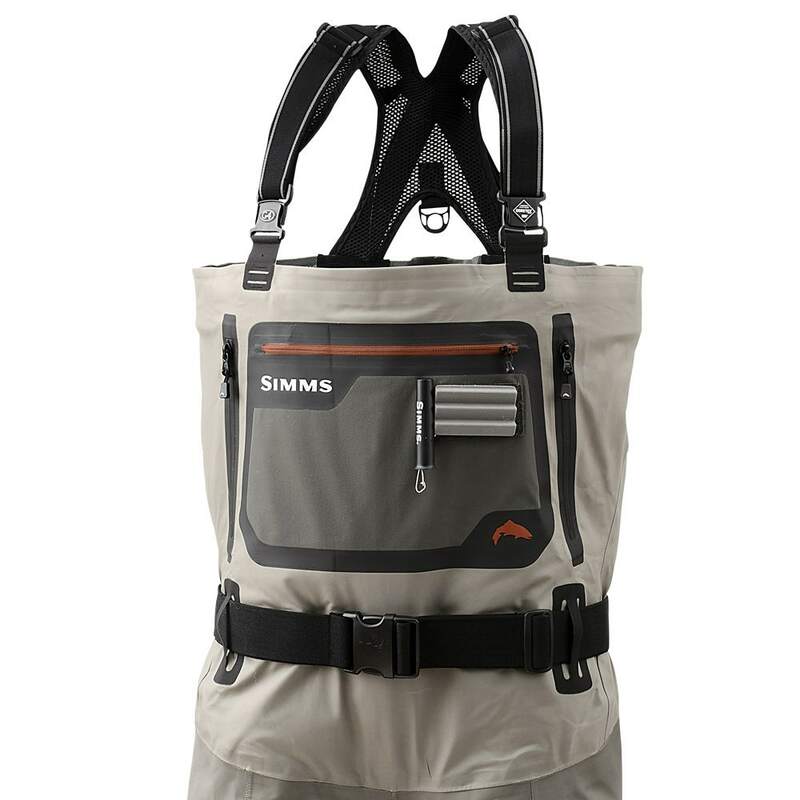 These Simms waders now feature super comfortable braces, enhanced breathability and the largest zippered chest pockets in any Simms wader. 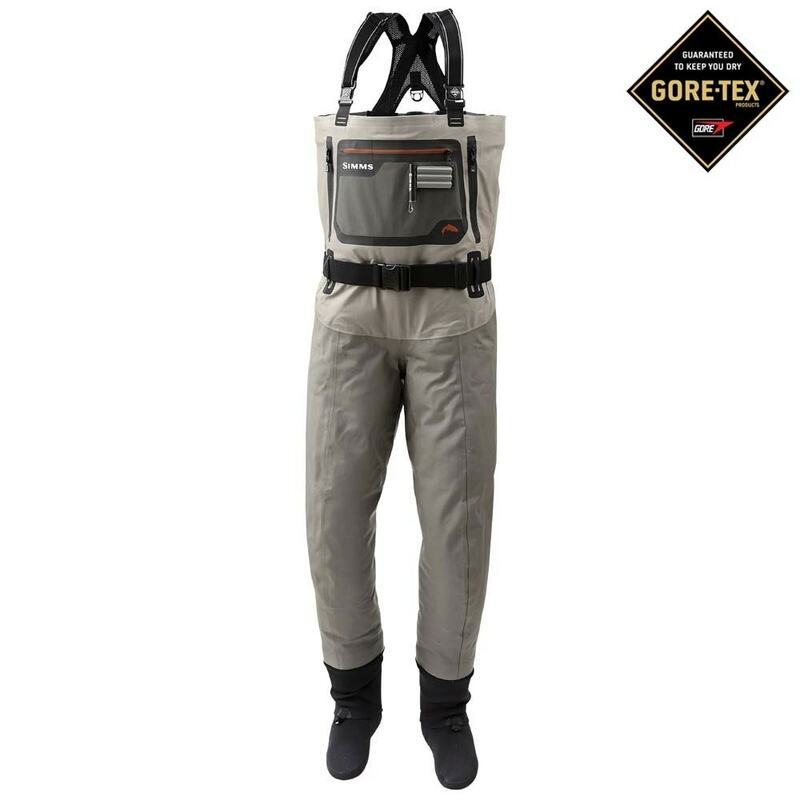 The Simms G4 Pro® waders enjoy the same level of detail, advanced fabric and functionality as the Simms G4 Zip® with the omission of the centre zip and a revised pocket layout. High performance 5-layer GORE-TEX® Pro® Shell fabric. Built in belt loops and elastic 2” quality wading belt featuring Simms Trout side-release buckle. Docking station with Simms retractor plus fold out tippet tender pocket with second retractor. Danny R North : Sales Manager, Sportfish Winforton says "I have been using Simms waders for many years, including the G4 Pro®. 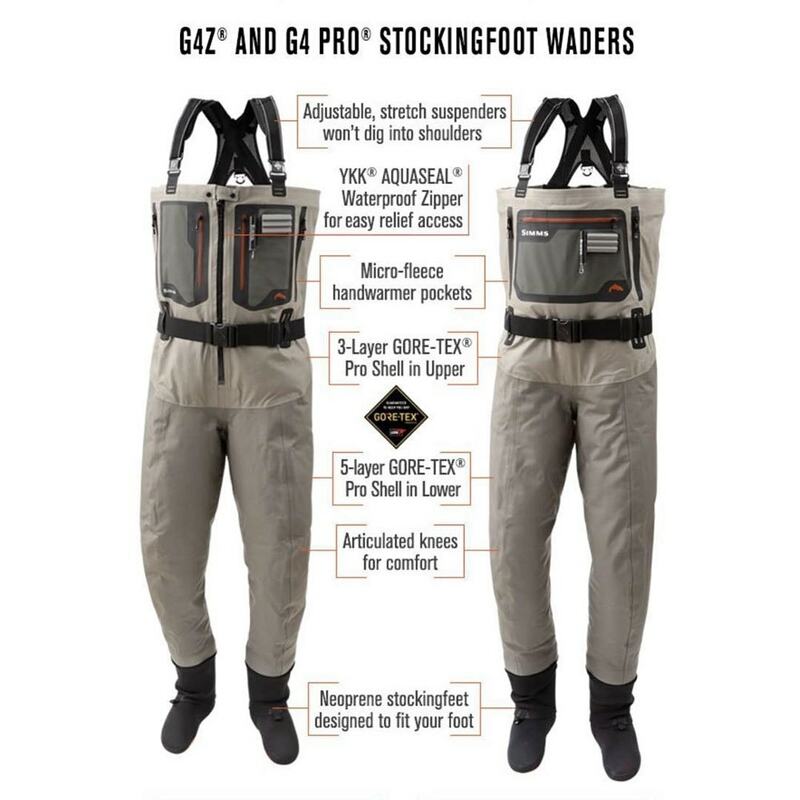 They really are the most comfortable waders I have ever worn and I have no doubt they are the best available."